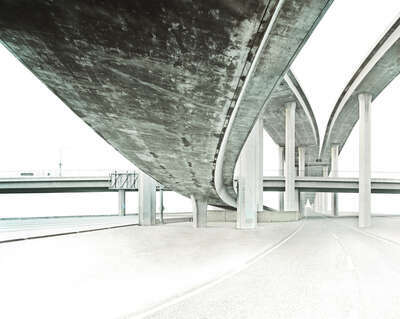 On Christian Stoll's EXPWY, one gets from A to B without much regard for the surrounding landscape. Written out "expressway", Stoll's work stands for a hyperfast, motorized lifestyle and the wasteland that this leaves behind. 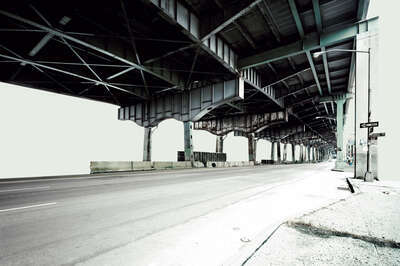 Under the major highway bridges that penetrate and fly over any American big city there is eloquent silence. Welcome to No Man's Land. From one of the bridges only the pillars remain in Stoll’s computer-manipulated visions – signs of the construction or dismantling of the American way of life? 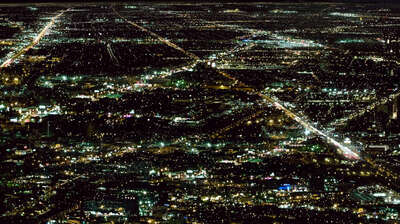 "Cityscapes" speak a completely different language. 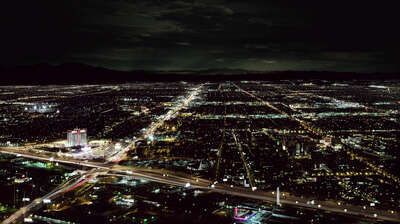 Christian Stoll leaves nothing out; rather he adds what his feelings tell him is missing: the lights of Las Vegas and Los Angeles are enhanced, augmented and altered so that the resulting digitally created night photographs match the photographer's memories of how the cities looked to him. Rarely does a photographer take so much time, succumbing to his own fascination of America; hardly any other has handled this topic so brilliantly. 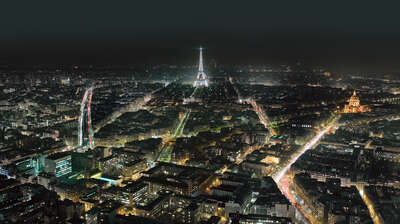 Significant is the picture that Stoll presents of Paris: in this image he has not manipulated anything. Good old Europe shines strongly enough to impress at first glance. Stoll’s brilliant technical skills have led to his success as a freelance photographer in the advertising industry, working in Düsseldorf and New York. 2006 published in Luerzer's Archive's "200 Best Advertising Photographers Worldwide"